Bacon makes everything better! 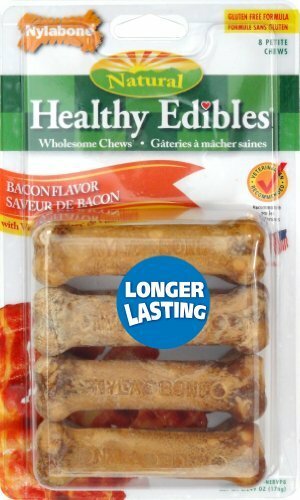 Our Healthy Edibles Bacon Chew Treats are a healthy, wholesome treat with the bacon flavor dogs love. Crafted with wellness in mind, these treats are made with natural ingredients and added vitamins and minerals—with no added salt, sugar, or artificial preservatives. The longer-lasting, highly digestible formula is perfect for dogs who love to chew. One thing all dogs can agree on is that they love bacon! These delicious edible chew treats come in three fun little-pig shapes. 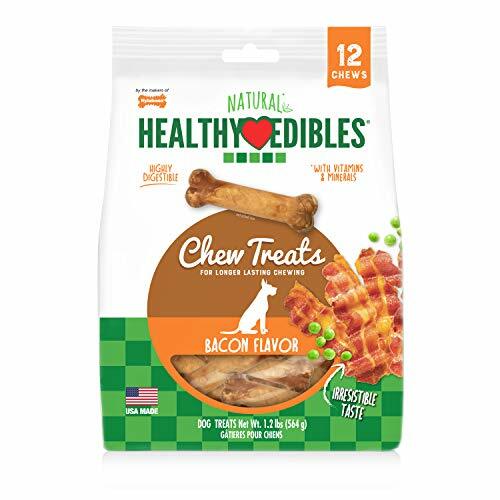 They're natural, edible chews with the irresistible flavor of bacon that keep your dog happy, busy, and satisfied. What’s better than bacon? Nylabone Healthy Edibles Chews are made from natural ingredients with added vitamins and minerals and have no added salt, sugar, or artificial preservatives. Plus, these longer-lasting dog treats are highly digestible. 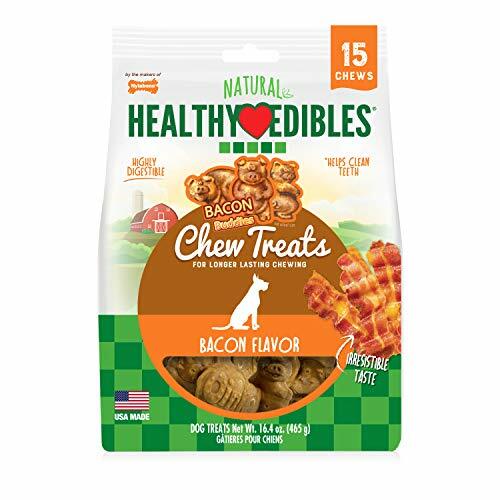 For dogs with all their permanent teeth (usually six months and older), Healthy Edibles Chews are an irresistible, bacon flavored snack. Go ahead and throw your dog a Nylabone treat! What's better than bacon? Bacon backed by your veterinarian! 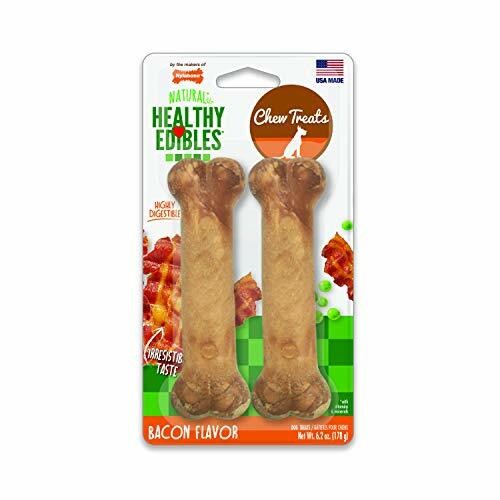 Nylabone Healthy Edibles Chews are your dog's veterinarian-recommended source of bacon flavor. These wholesome chews are made from natural ingredients with added vitamins and minerals and have no added salt or sugar or artificial preservatives. Plus, their longer-lasting, highly digestible formula will keep your dog munching longer and allow him to absorb their nutrition more easily. 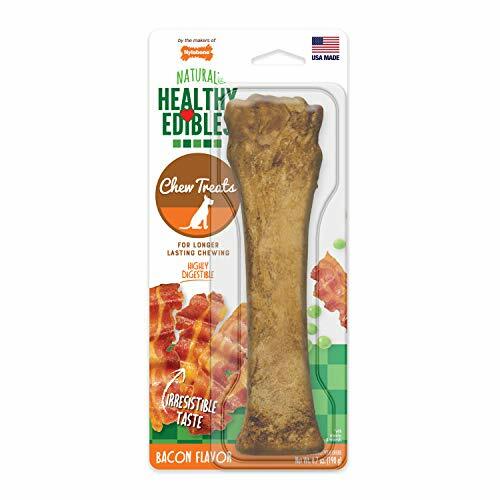 For dogs with all their permanent teeth (usually six months and older), Healthy Edibles Chews are a solid, healthy bacon-flavored snack. Excite your dog's primal instincts with Healthy Edibles WILD chews! These treats are made in the USA with real, traditional proteins like bison, venison, and turkey. Our wholesome chews are made from natural ingredients and have no added salt, sugar, or artificial preservatives. 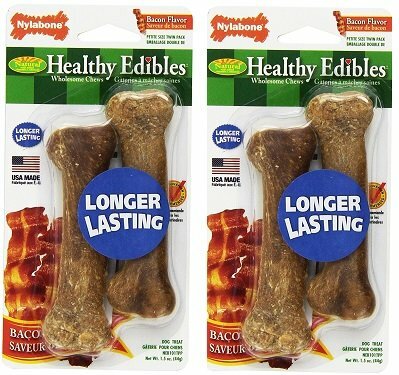 Plus, these long lasting dog treats are highly digestible. 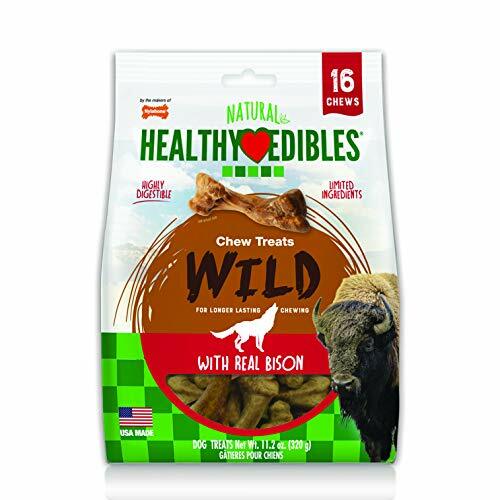 For dogs with all their permanent teeth (usually six months and older), Healthy Edibles Dog Treats are a delicious bison-flavored snack. These mouth-watering flavors of nature will make your dogs go wild! 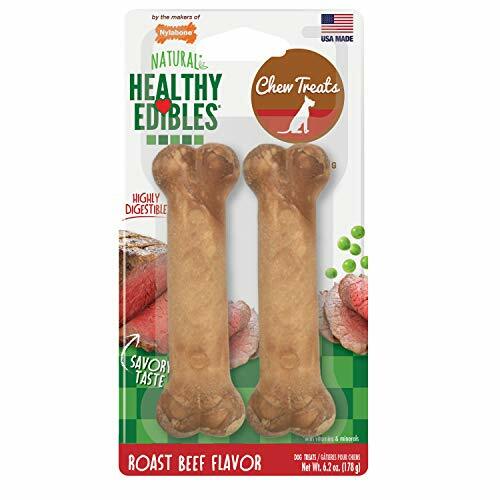 Nylabone Healthy Edibles Roast Beef natural dog chews are a healthy and wholesome treat with a hearty roast beef flavor that dogs love. Crafted with your dog's wellness in mind, these healthy dog treats are made with natural ingredients and added vitamins and minerals—with no added salt, sugar, or artificial preservatives. The longer-lasting, highly digestible formula is the perfect way to occupy and satisfy your best friend. For dogs with all their permanent teeth (usually six months and older). 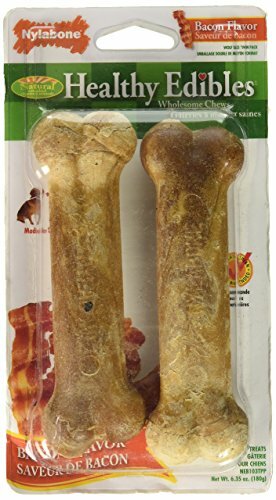 Nylabone Healthy Edibles Regular Bacon Flavored Dog Treat Bones with Vitamins, 12 Count! 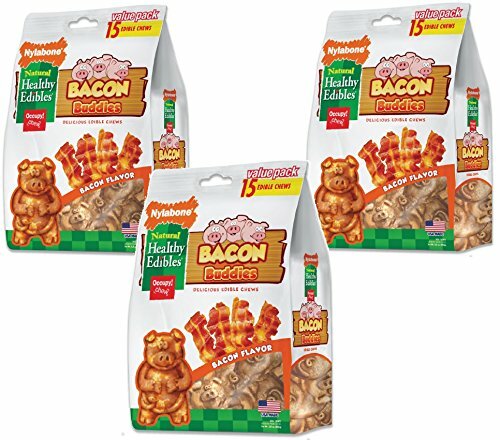 Compare prices on Healthy Edibles Bacon at Elevelist.com – use promo codes and coupons for best offers and deals. We work hard to get you amazing deals and collect all avail hot offers online and represent it in one place for the customers. Now our visitors can leverage benefits of big brands and heavy discounts available for that day and for famous brands.